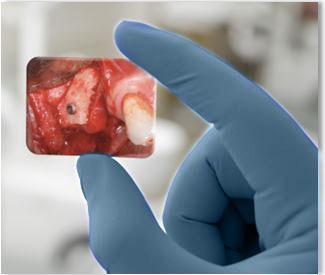 A Guided Tissue Regeneration procedure with GUIDOR bioresorbable matrix barrier (GUIDOR matrix barrier) can be considered to aid in the correction of defective periodontal tissues. Atraumatic extraction of hopeless teeth can be followed by a socket ridge preservation procedure using GUIDOR easy-graft. Where a dental implant restoration is considered, bone defects can be treated prior to or at the same time as implant placement. In such instances GUIDOR easy-graft and GUIDOR calc-i-oss bone graft substitutes and GUIDOR matrix barrier are available in a variety of configurations to help correct the associated defects. Stability: Stability is a key biological principle for predictable bone regeneration. GUIDOR regenerative products are specifically designed to be stable in the site. Handling Optimization: New technical developments allow more flexible control of physical characteristics like resorption rates and physical forms. 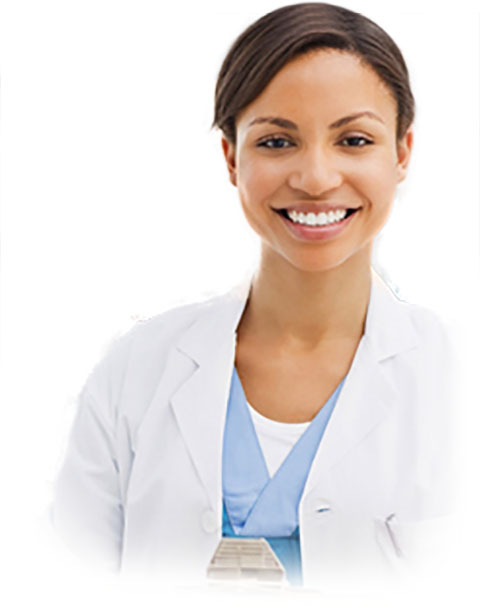 GUIDOR regenerative products are designed to meet the specific requirements of the oral care clinician. Material Origin: Autogenous bone is considered the gold standard despite its limitations. 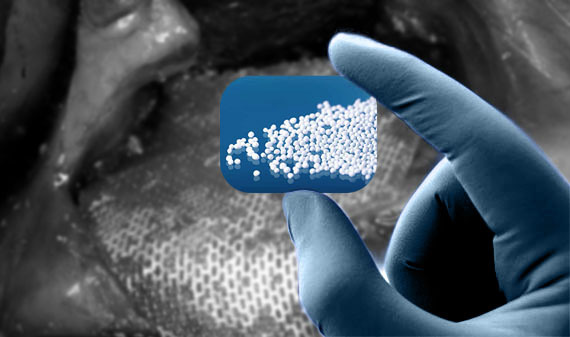 Clinicians and patients seeking alternatives can choose products from a deceased human (cadaveric allograft), animal (xenograft) or man-made synthetic (alloplast). GUIDOR regenerative products are 100% Alloplastic in origin and contain no materials of animal or human origin. 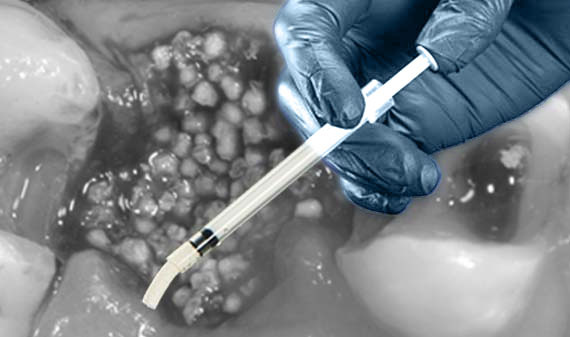 Unlike allograft (cadaveric) or xenograft (animal) derived materials alloplastic products limit by nature the risk of transmission of disease pathogens or rejection. No moral, emotional or religious concerns exist. An increasingly widespread refusal for animal-derived xenograft materials sees alloplastic materials experiencing a rapid growth. Alloplastic materials are not new – glass derived bio ceramics were one of the earliest proposed materials. However, just like the electronics sector new technologies and bio engineering methods emerge allowing adjustment of material compositions. Stimulated by the demands of orthopaedic surgeons, where implantation of resorbable materials dominate: alloplastic materials offer a predictable biological response when implanted. 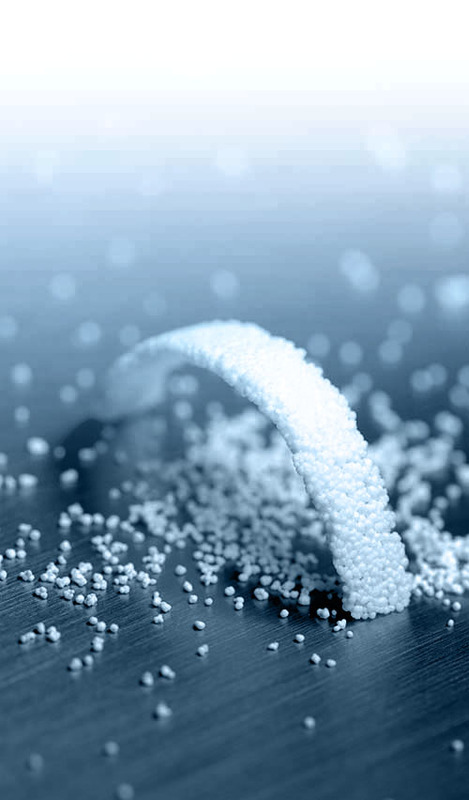 Due to the more flexible control of physical characteristics, alloplastic materials can be designed with a variety of resorption rates and wide range of physical forms such as granules (GUIDOR calc-i-oss), consistent and mouldable in-situ hardening applications (GUIDOR easy-graft). Todays (3rd generation) alloplastic technologies, supported by peer-reviewed research in typical dental indications offer the performance and handling features demanded by clinicians seeking patient acceptance, ease and predictability (1). Second intervention: A second intervention is required for harvesting autogenous bone. Surgical competency: To remain vital a blood supply should remain to the transplanted site which requires surgical competency for the preparation of the periosteum and accompanying vessels. Morbidity: Loss of sensitivity and pain has been reported in up to 55 % of cases (2). Contamination: Bacterial contaminated is highest from bone filters and scrapers (3, 4). Vitality: The vitality of salvaged tissue cannot be consistently demonstrated (4). Resorption: Volume losses at one year of 30 %–60 % have been observed (5). Clinicians and patients seeking alternatives to autogenous bone, processed bone from deceased humans or from animals should choose the 100% Alloplastic technologies from Sunstar GUIDOR. 1. PASS” Principles for Predictable Bone Regeneration. Wang, and Boyapati: Implant Dentistry, Vol15, Number 1, 2006. 2. Buser D, et al. Localized ridge augmentation with autografts and barrier membranes. Periodontology 2000 19, 151-159. 3. Rita A. Hitti and David G. Kerns, Guided Bone Regeneration in the Oral Cavity: A Review. The Open Pathology Journal, 2011, 5, 33-45. 4. Graziani, F, et al. A Systematic review of bone collectors, JOMI, Vol:22,5,2007,729-735. 5. Sorbonne. L, et al. Volume changes of autogenous bone grafts after alveolar ridge augmentation of atrophic maxillae and mandibles. JOMI Volume 38, Issue 10, Oct 09, 1059–1065. 6. Image courtesy of Dr. Minas Leventis, Athens University (Greece), private practice in London (UK).